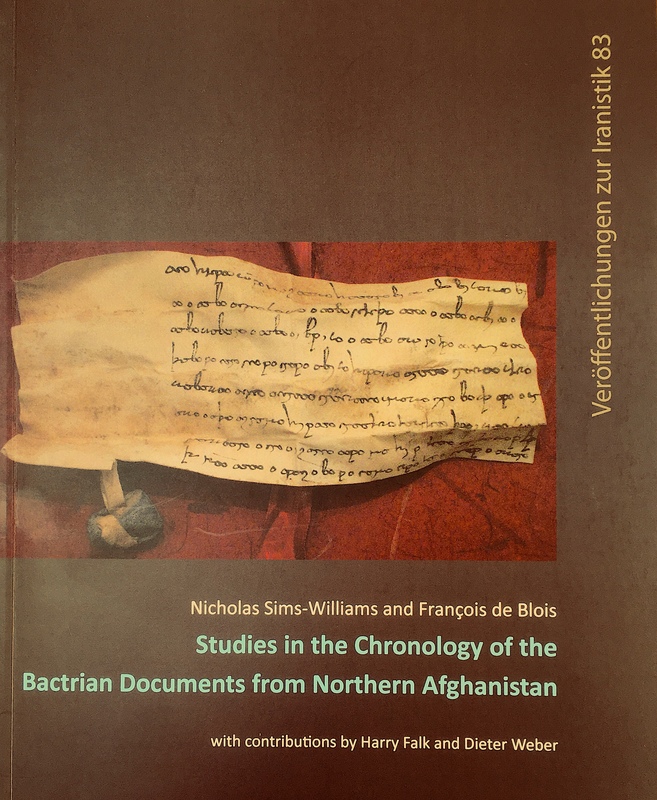 On Friday 25 May we celebrated the publication of Studies in the Chronology of the Bactrian Documents from Northern Afghanistan by our Chairman Nicholas Sims-Williams and François de Blois. Following the presentation of the book, Joe Cribb, AIIT trustee and former Keeper of Coins and Medals at the British Museum, gave an exciting lecture ‘Constructing Kushan chronology: Bactria and Gandhara 1st-4th century AD’. More than 150 documents in Bactrian, the chief administrative language of pre-Islamic Afghanistan, have come to light during the last twenty-five years. 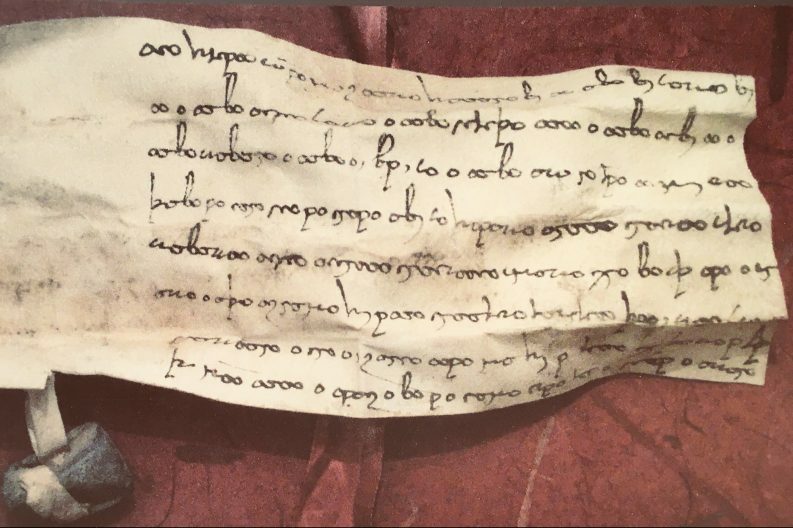 These documents include letters, legal contracts, economic documents and a few Buddhist texts; many of them bear dates in the so-called “Bactrian era”, which is also known from a few inscriptions, such as the Tochi valley inscriptions in Pakistan, but whose starting-point is controversial. The Bactrian documents have the potential to transform our knowledge of the history of the region during the 4th to 8th centuries CE, a period for which there are few contemporary records, but before they can be fully exploited as historical sources it is necessary to establish their relative and absolute chronology. The present volume aims to fulfil this need. Part 1 considers the dated documents, discussing the nature of the Bactrian calendar and the epoch of the Bactrian era, and concluding with a conspectus in which all the attested dates are converted to Julian dates on the basis of the facts and arguments presented. Part 2 takes into account the equally important undated documents, systematically weighing up all types of evidence, whether historical, prosopographical, palaeographical, linguistic or orthographic, which may have a bearing on their dating. Part 3 provides a handy check-list of the conclusions, while the Appendices provide additional and supporting material including editions of the Tochi valley inscriptions and of a Pahlavi letter which was purchased together with the Bactrian documents. This book is published by the Österreichischen Akademie der Wissenschaften and is available in print (ISBN 978-3-7001-8184-2) and online (ISBN 978-3-7001-8319-8) for € 29. A copy is available to read at the AIIT with the shelfmark AIIT.b.211.